BLACK LABEL SOCIETY anuncia su nuevo DVD "Unblackened"
"Unblackened", el nuevo DVD, Blu-ray, y Video Digital de BLACK LABEL SOCIETY se lanzará el 24 de septiembre por Eagle Rock Entertainment. La discográfica de Zakk, eOne Music, también lanzará la versión en audio del DVD "Unblackened" bajo el mismo nombre. El lanzamiento de doble CD tendrá seis pistas adicionales que no se encuentran en el DVD, incluyendo dos versiones acústicas de "Queen Of Sorrow" y "Won't Find It Here", y la versión del tema "Song For You" de Leon Russell y "Ain't No Sunshine When She's Gone" de Bill Withers. Además "Unblackened" incluirá material extra como una entrevista con Zakk, photo gallery, el video de "Losin’ Your Mind", e imágenes de Wylde visitando la prisión HM Prison Stocken en Reino Unido. "Unblackened", the new live DVD, Blu-ray, and Digital Video from BLACK LABEL SOCIETY, will be released on September 24 by Eagle Rock Entertainment. Zakk's label home, eOne Music, will also release the audio version of the "Unblackened" DVD under the same name. The double disc release will have six additional tracks not found on the DVD, including two acoustic versions of "Queen Of Sorrow" and "Won't Find It Here", and covers of LEON RUSSELL's "Song For You" and "Ain't No Sunshine When She's Gone" by BILL WITHERS. Filmed and recorded earlier this year in high definition at Los Angeles’ Club Nokia, Unblackened is Black Label Society presenting their songs in a whole new light, with greater use of acoustic instrumentation. 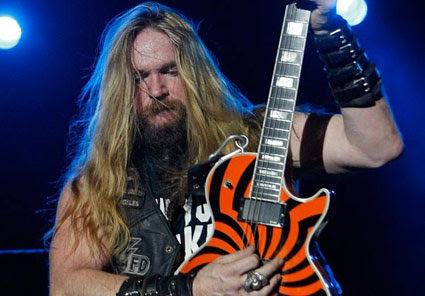 Wylde plays both guitar and piano, with Nick Catanase on guitar, John DeServio on bass/vocals, Chad Szeliga on drums, Derek Sherinian on keyboards/piano, and Greg Locascio providing additional vocals. Their stripped-down approach highlights the subtler nuances of the songwriting, without losing any of the fire or intensity. 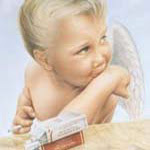 Classic tracks like “Stillborn,” “The Blessed Hellride,” “In This River,” “Throwin’ It All Away,” “Losin’ Your Mind,” and many others are still punctuated by the stinging, searing solos that fans know and love, while showcasing the versatility of the band. Según Blabbermouth, Nick Catanese ha dejado de manera amistosa BLACK LABEL SOCIETY. Los restantes miembros de la banda, le "desean lo mejor en sus futuros proyectos musicales", agregán en el comunicado que un guitarrista de reemplazo será anunciado en breve. 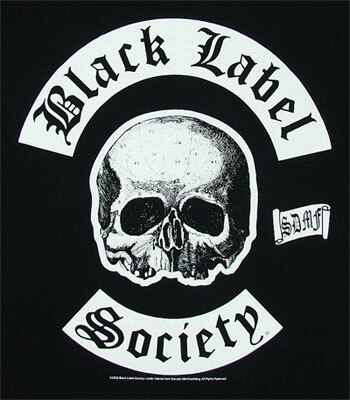 BLACK LABEL SOCIETY has amicably parted ways with longtime guitarist Nick Catanese. The remaining members of band, who "wish [Nick] the very best in his future musical endeavors," added in a statement that a replacement axeman will be announced soon. Dario Lorina es conocido por tocar con el vocalista de WARRANT, Jani Lane y con LIZZY BORDEN. Says LIZZY BORDEN frontman and namesake: "We are extremely proud and happy for Dario Lorina on being selected as Zakk Wylde's BLACK LABEL SOCIETY's new guitarist. "It's been an amazing ride performing all around the world with Dario. He is a true professional and an incredible blues-driven artistic guitarist, adding so much to the BORDEN sound. Personally, it was a privilege for me to have him on my left side for the last four years and I know Zakk, his band and their fans are going to love Dario, as we all do. "Dario will be missed in the BORDEN camp but he will always be one of us and we wish him all the luck in the world." Touring for over a span of seven years since age sixteen, first with late WARRANT singer Jani Lane and in more recent years with LIZZY BORDEN, Dario Lorina released his first solo recording, entitled simply "Dario Lorina", on September 10, 2013 via Shrapnel Records. El nuevo disco de Black Label Society "Catacombs Of The Black Vatican" saldrá a la venta el 8 de abril. The new album from Black Label Society - CATACOMBS OF THE BLACK VATICAN hits stores on April 8, 2014! Pre-orders coming soon! BLACK LABEL SOCIETY: portada y lista de temas de "Catacombs Of The Black Vatican"
"Catacombs Of The Black Vatican" será lanzado en Europa el 7 de abril a través de Mascot Label Group y un día más tarde en América del Norte a través de eOne Music. Adquiriendo el CD en preventa en iTunes podrás descargar como adelanto el tema "My Dying Time". BLACK LABEL SOCIETY nuevo tema "My Dying Time"
ZAKK WYLDE lanzará "Book Of Shadows Volume II"
Barbaranne Wylde, la esposa y co-manager de Zakk Wylde, ha revelado a Examiner.com que el guitarrista / vocalista entrará en el estudio después de su gira de primavera "Unblackened 2015" para grabar "Book Of Shadows Volume II", trabajo que será lanzado a principios de 2016. El disco saldrá en el 20 aniversario del original "Book Of Shadows", y será seguido por una gira mundial para apoyar "ese lado de la música de Zakk", según Barbaranne.